Low beam: Walk sideways bothways. 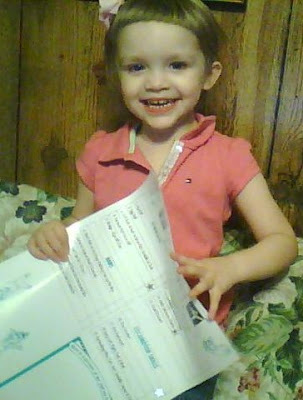 So the above picture is what her chart looks like now and the proud little owner. Congratulations to Lilly Rose on her progress report!